with Medical Grade Silicone is the first and only Scar Spray that uses medical grade silicone for scars treatment , this superior quality product dries in seconds to form a silky gas-permeable water-proof barrier that works to normalize the healing process and collagen-synthesis to prevent abnormal and unsightly scars from forming. This provides the best healing environment by protecting your skin from bacteria, chemical and physical external elements for the most aesthetic outcome. Scar MD® Scar Gel for scars treatment is a unique blend of naturally occurring silicones. Silicone is the gold standard used by Dermatologists & Plastic Surgeons and is clinically proven to reduce the redness of scars, flatten scars and minimize the pain and itchiness. Results guaranteed! * Our unique-proprietary blend of high quality silicones creates an ultra-thin invisible barrier, with similar breathability of your skin, this modifies the factors involved in healing to normalize the production of collagen, preventing the formation of abnormal scarring by creating the optimal environment for your skin to heal. All scars get worse in the sun. As humans, it’s difficult to completely avoid the sun so do your best and always apply SPF30+ sunscreen and/or cover your score as much as possible if concerned with your scar. As well as using ScarMD® Scar Gel & Spray, massage the scar with a simple moisturizing cream. Use a simple cream with no perfumes or additives in. 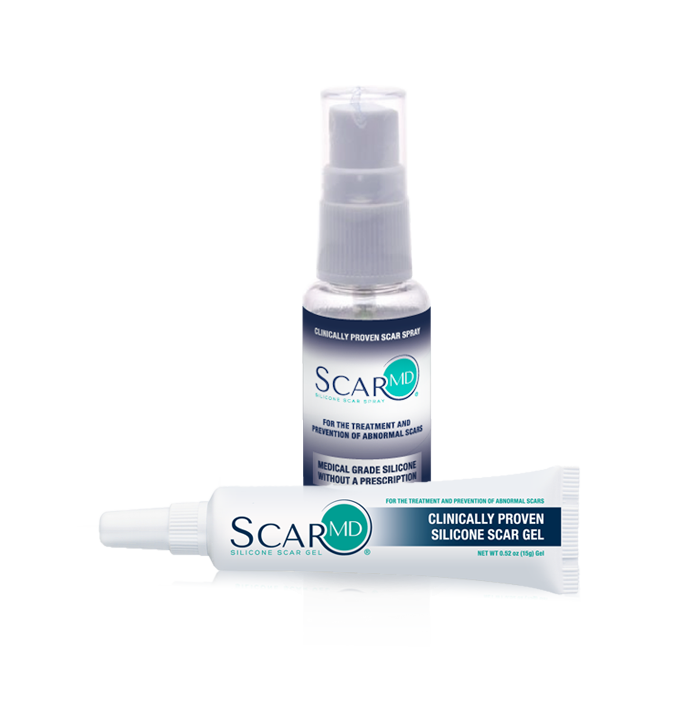 Don’t massage ScarMD® Scar Gel & Spray into the area. Apply a thin layer and leave it to dry. 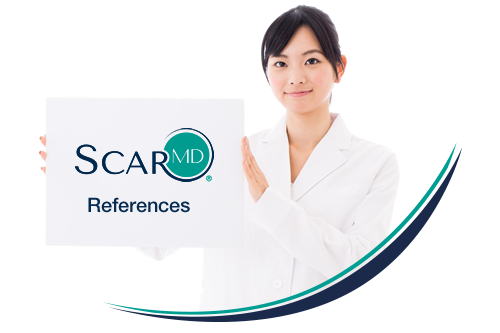 If you think that you have a Keloid scar then speak to a Dermatologist, Plastic Surgeon or Scar Specialist, who will advise the best combination treatments to use with ScarMD® Scar Gel & Spray.